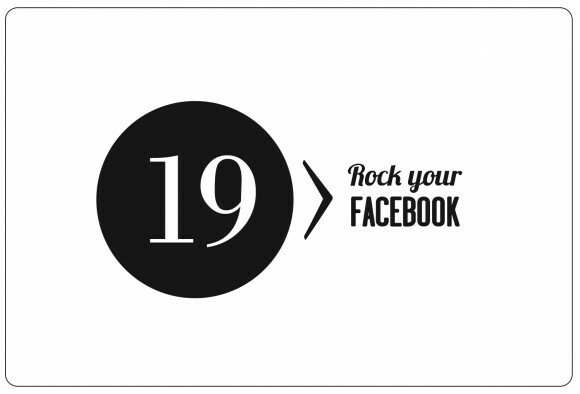 Welcome to Day #19 of the 31 Days to Better Branding series! To learn more about this series, click here and find links to the other days so you'll be able to follow along or catch up if you happen to miss anything. I am by no means an expert but after hearing a lot of the same questions, I figured others could benefit from a few lessons in branding. Hopefully it will give you a place to begin or even just a few tips to improve your business and bring you more clients. Feel free to add in your thoughts and what has worked for you in the comments! "I'd like my Facebook business page to be a little more organized. There's no rhyme or reason the the way it looks or the things I'm posting." This exact statement was given to me recently by a client and I'm sure a lot of us can relate. It's easy to get busy and let things just fall into place without thinking about them too much. So rather than give you a step by step tutorial on the way Facebook operates, I'm just going to share a few things that you can do to feel like there's purpose behind your page. Let's start with the most obvious. If you want to represent your brand well, first impression will always begin with the design. Your Facebook cover (main image) and app tabs (the button links underneath your cover) should look coordinated with the rest of your brand. If you use specific patterns, colors, fonts on your website or blog, use those same patterns, colors, fonts with your FB page design. If you post images, they should be adding to the experience you want your ideal client to have. Remember that this might be another one of those digital doormats (one of the first ways people find you) so it should give your clients the same experience they would get from your website, blog or studio. Quick tip: When sharing a link, I try not to use the default tiny image. Instead I upload the image first, shorten the link with bit.ly and then add the link to the image's description. That leaves me with a much larger image on the wall and I can always go back and edit the description later. Plus it's easy for others to share since the link is nice and short. It's easy to share links as you find them or fun comments as they are on your mind. But one thing that is not fun to plan on the fly is a big event. Giveaways, contests, sales, special workshops, etc. all should to be planned well in advance. These are really great things to delight your clients and keep them coming back to your page if you've put in enough thought to their experience. A good goal I have is to try to do at least one event a month. So while one event is going on, I know I need to be planning for the next one. Sometimes this isn't possible, but at least it keeps me thinking ahead. If you feel like you can't afford to give away something free or discounted each month, maybe weigh this with the cost of your advertising. Free prizes are usually cheaper than paying for advertising and they can sometimes produce the same results. Quick tip: Team up with a business your clients would love and do an event trade. For example, they might be willing to do a giveaway for you if you could do a giveaway for them. That way you can switch it up and not feel like your followers are bored with the same old thing. In order to get organized, sometimes it helps to have a tentative weekly schedule. You don't have to stick to it, but at least you know in advance what you want to accomplish with your page. And it's there for the days when you're feeling unmotivated. I personally want to inspire creativity and connect with my customers through Facebook, so here is the schedule I want to put in place for my own page in the coming months.. Homework: Choose an afternoon this week and get your Facebook page organized. Get rid of any past posts or images that don't support your brand and write out some goals for your future content.